The Cleveland Cavaliers have struggled as of late, and the headlines coming from the organization were more appropriate for a dramatic reality TV show than an elite NBA team. 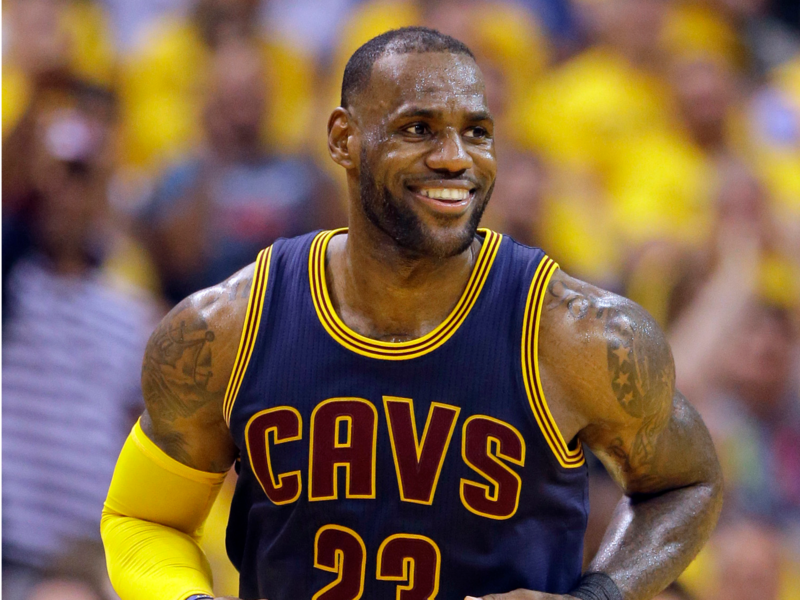 However, I’ve said this before and I will say it again–NEVER underestimate LeBron James. Cleveland got busy at the trade deadline and parted with six of their players along with a first -round draft pick showing everyone that they’re still very serious about making a run for the title yet again this season. If you missed the details of trade, the Cavaliers picked up George Hill, Rodney Hood, Jordan Clarkson, and Larry Nance Jr. exchanging point guard Isaiah Thomas Jae Crowder, Channing Frye, Dwyane Wade, Iman Shumpert Derrick Rose and a first-round pick. The Cavs made these moves to part with all the drama that was dragging the team down in an effort to win, but also to keep James interested in the organization after his contract expires this summer. The Cavaliers have overhauled their roster in the last hour or so. Isaiah Thomas now finds himself in the Western Conference as a member of the Los Angeles Lakers along with Channing Frye along with the draft pick. Thomas was acquired this past summer in exchange for Kyrie Irving, and he just didn’t pan out for the organization. The time it was taking to regain form from his hip injury and loose reports about him contributing to the locker room drama made it a bad fit. Armed with new soldiers the Cavs marched their way in to Boston to take on the Celtics on Sunday. The result was not a favorable one for Boston as they were blown out by Cleveland in epic fashio 121-99. The Celtics, who have sputtered lately, might be in trouble. Boston gave up the highest number of points they’ve allowed in a single game against the Cavs with newly acquired George Hill, Jordan Clarkson and Rodney Hood combining for 49 points. A total of seven Cavaliers tallied double-digit points in the walk away win, and James looked absolutely elated on the sidelines. After the game James stated that the team paid attention to detail which is something they hadn’t done in a very long time, and he was happy to see how everyone came together to get the job done. Perhaps the fact that all the drama has seemingly ended gave the Cavs some extra pep in their step tonight, but they have shown that Boston is still very attainable in the East. Cleveland has 27 games remaining to buckle down and build chemistry with the refurbished roster if they want to make a serious push in the post season. With the trade, Cleveland sought more play makers and reliable scoring options in the backcourt with Clarkson. While Kevin Love is out with a broken hand Nance Jr. provides some front court depth as Love works to recover. The move for Hill allowed the Cavs to bring on a true starting point guard, and his debut game did not disappoint with 17 points and 3 rebounds. Hood shoots a consistent 39% from the three point line, and the Cavs needed his perimeter scoring abilities combined with Clarkson and Hill to compensate for Irving’s absence–something Thomas was just never able to do. It has only been one game but the rest of the league might want to take notice. The King and the Cavs are very much alive. We could very well see the Cavs make a run to take on the Warriors once again in the Finals.